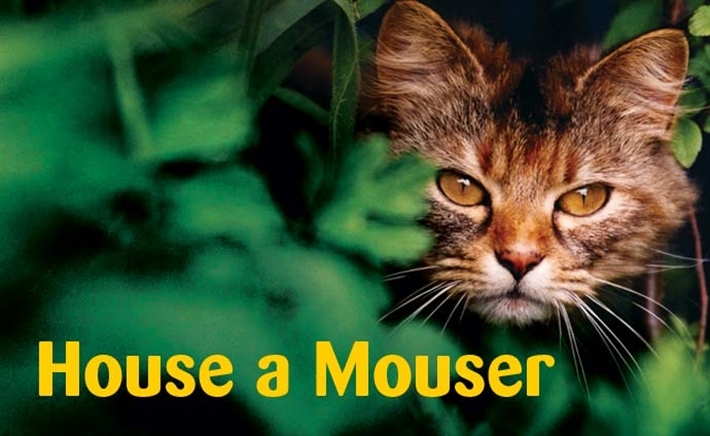 Cats Protection’s Anglia Coastal Branch is currently offering the purr-fect solution to individuals and businesses in need of an environmentally-friendly pest control service. The charity is always dealing with feral colonies, which need to reduce their numbers or need to be relocated for their safety. These feral cats are just waiting to pounce on the right vacancy. Environmentally friendly rodent control service for your stables, garden centre, factory, farm or small holding? Look no further – our working cats are just waiting to pounce on the right opportunity! We often take in feral cats which are unable to be socialised as pets, but that can still earn their keep by simply acting on their natural instincts. They do not crave affection or attention and are perfectly happy to go about their ‘jobs’ as long as they have a warm, dry place to sleep, regular food and fresh water. Like all of our cats, our ‘workers’ have been neutered and health checked so you can adopt with confidence. We often have feral cats and kittens looking for employment, so if you have a vacancy please get in touch today! contact us at adoptacat@angliacoastal.cats.org.uk or called 0345 371 4202, so we can add you to our waiting list.